Entertain and engage with visitors. 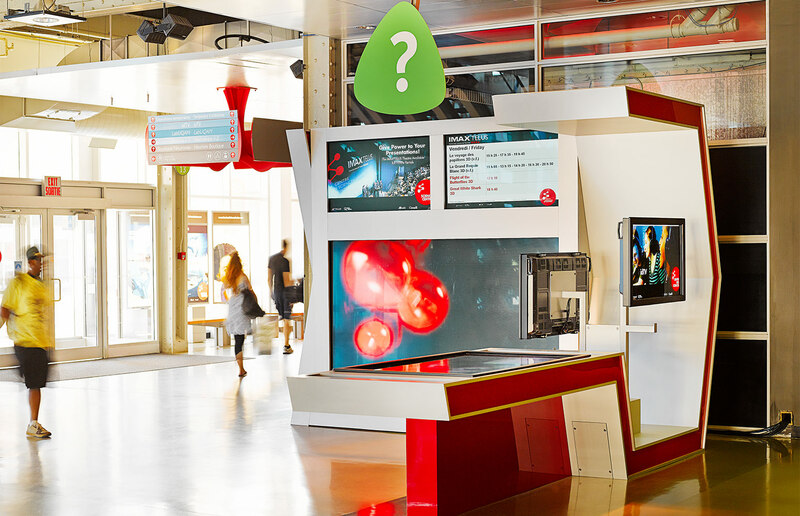 This multimedia module is intended to inform and entertain Montreal Science Center visitors and groups waiting by the ticket counter. 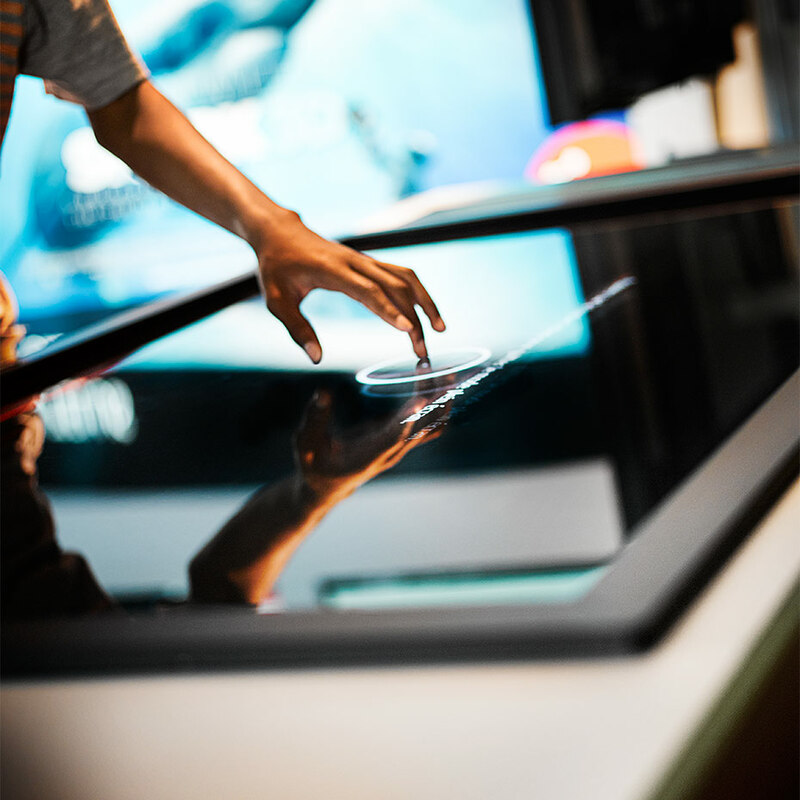 It houses 6 screens of various sizes: small touch-screens, a giant 103” in wide screen, and an interactive table with each one having its own place and function. 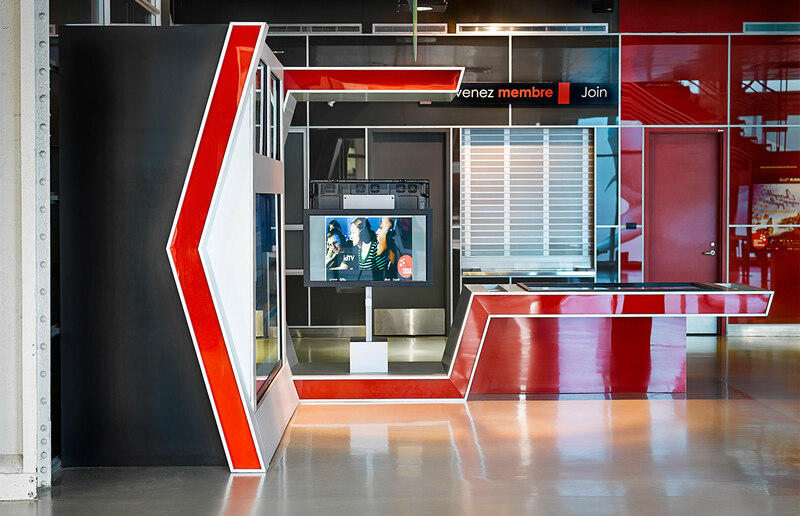 In a very busy space, our challenge was to design a module with an inviting presence that would welcome a maximum amount of people without getting in the way of the heavy traffic in the museum. 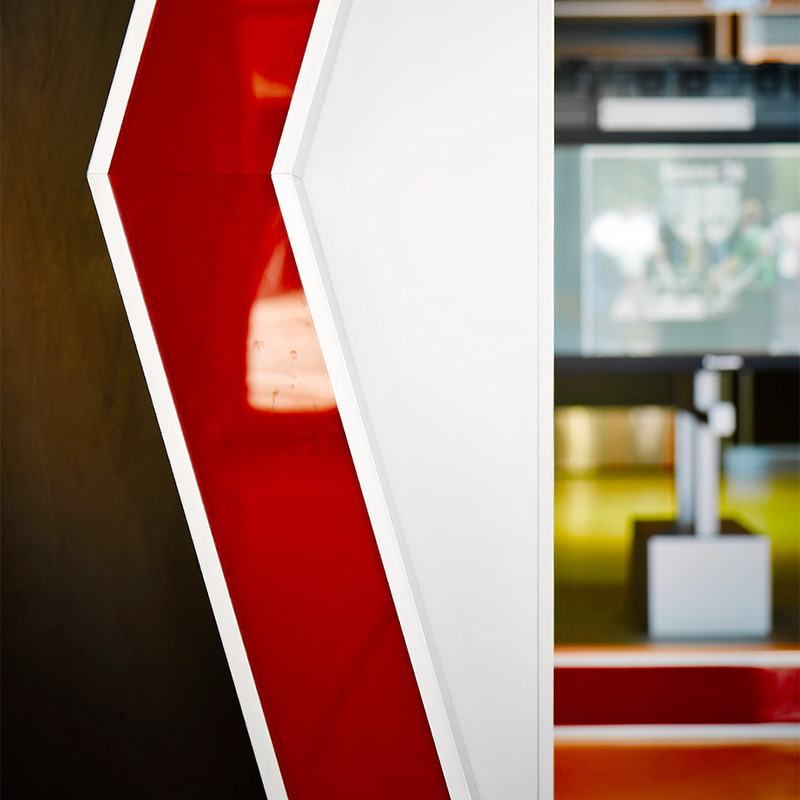 Perfect visual integration in the existing space was part of our mission. The layout of the module allowed integration for an optimal amount of screens in a rather small footprint. The general effect is airy and the dynamic angles of the module support this consistently busy space. Materials and colors were chosen to work in harmony with the existing space.